The article provides an overview of some important features of your Account Management Portal. If you would like to watch a quick walkthrough on how to use your console, check out our MSP/Reseller/Multi-Account Org Console Walkthrough, or contact your Account Manager. 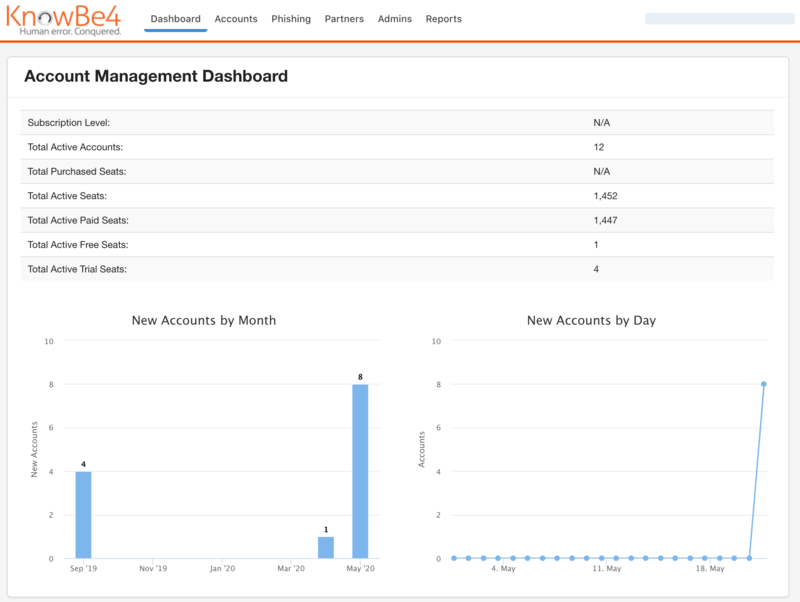 The first page you will see after logging in is your Dashboard. This will provide an overview of your subscription level and subscription end date, how many managed accounts you've added, the number of active accounts in your console, number of purchased seats, and number of active seats overall based on account status (Paid/Trial/Free). You can enable two-factor authentication (2FA) or multi-factor authentication (MFA) on your account for an added layer of security. If you'd like, you can change the logo displayed on the top left to your own logo. This will affect all of your clients' accounts as well. The image you select to import must be in .png format and less than 300KB. 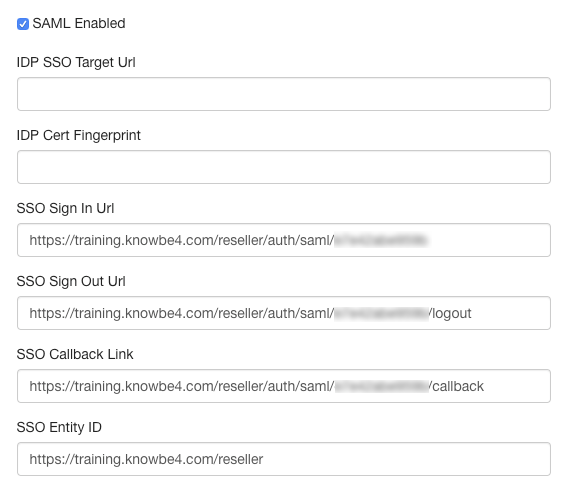 You can enable SAML on your account for an added layer of security. Select a time period of account inactivity from the drop-down. The system will automatically log you out after the specified period of inactivity. To change this option for your clients, it can be accessed under their Account Settings.